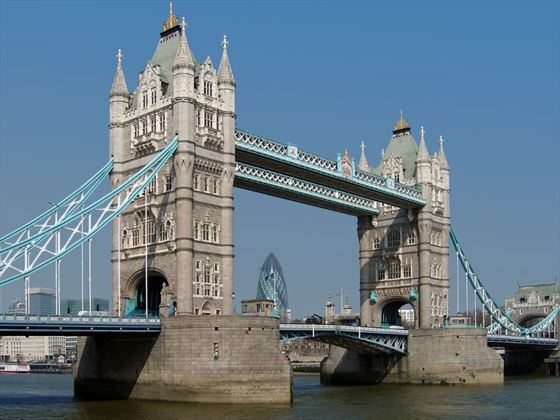 Your tour begins this evening in London the cosmopolitan capital of Britain, with a welcome dinner at a traditional pub where you can soak up the atmosphere and enjoy a hearty meal. 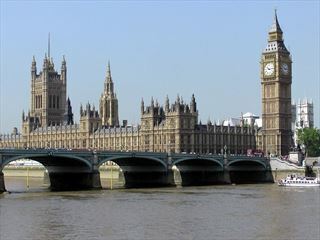 A local guide will begin the day with a morning showing you the exciting sights of regal London. You will see Buckingham Palace, the Tower of London, Big Ben, the Houses of Parliament and Westminster Abbey where Prince William and Catherine Middleton married. The afternoon is free so you can choose to explore more historical sites, browse the shops or relax over a sumptuous afternoon tea. This morning you will travel to mystical Stonehenge, the world famous prehistoric monument. This is the only lintelled stone circle surviving in the world and was erected more than 4,500 years ago. After exploring mysteries such as how these colossal stones arrived in this location, you will continue onto the elegant Georgian town of Bath. 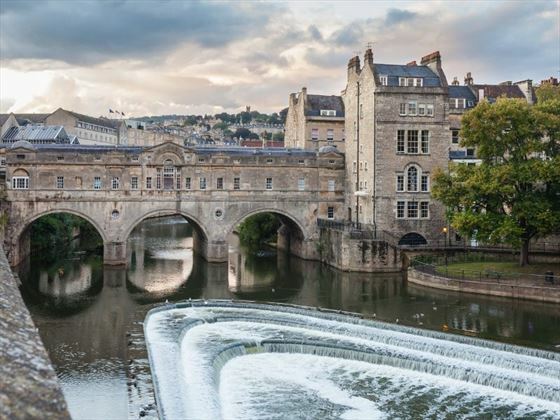 You will soak up the atmosphere of this beautiful city much-beloved of the author Jane Austin who lived here over 200 years ago, and visit the Roman Bath Museum to see the 2,000 year old spas. You will travel onto your overnight stop in the Welsh capital of Cardiff. Admire the beautiful countryside as you travel through Wales to the coastal village of Fishguard, where you will board the ferry to Ireland. Once you arrive in Rosslare, you will then travel to the charming town of Waterford for your overnight stay. Your first full day in Ireland will begin with a fascinating tour of the House of Waterford Crystal, home of the largest collection of Waterford Crystal in the world. You will then travel to historic Blarney Castle, where according to legend if you kiss the Blarney Stone you will be blessed with the gift of eloquence. 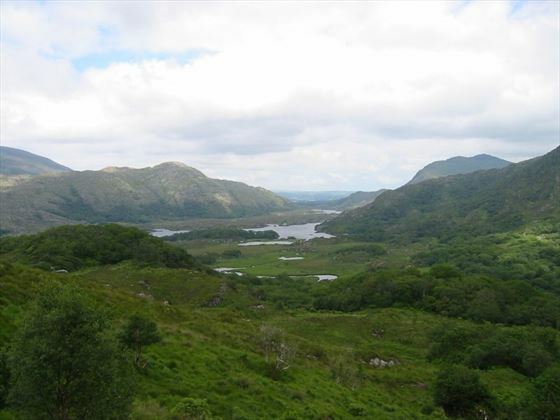 Continue onto Killarney where you will stay for two nights, on the edge of the beautiful Killarney National Park. Today you will drive the magnificent Ring of Kerry where you will find some of Irelands most spectacular scenery. A stop at the Gap of Dunloe will give you the opportunity to browse traditional Irish handicrafts. You’ll return to Killarney where you will have the fun experience of an Irish jaunting car ride. Some great experiences with the hospitable Irish await you today starting with meeting a local family at the Molanna Dairy Farm, where you can find out about life in rural Ireland. 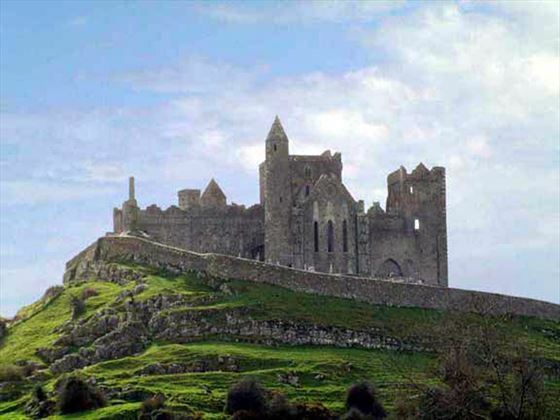 Travelling onto Dublin, you will see one of the most historic sites – the Rock of Cashel, an imposing castle, the seat of kings for hundreds of years and legend has it where St Patrick preached. Your day will end with another fabulous experience of Irish culture in Dublin with a traditional Irish Night show. 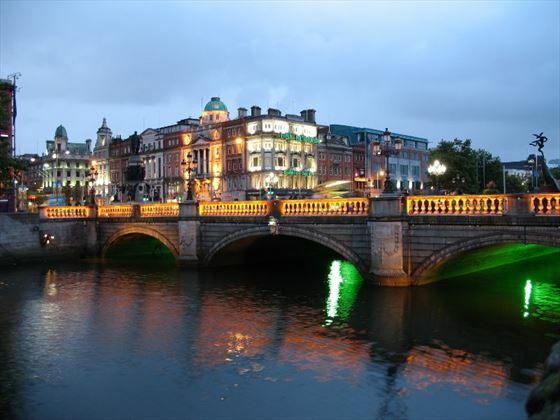 Discover the old and new sights of Dublin with a local guide, taking in the Bank of Ireland, O’Connell Street, Grafton Street and St Patrick’s Cathedral. You have the afternoon at leisure to explore this dynamic city, perhaps discovering more of the history or soaking up the atmosphere of Temple Bar. Ferry across the Irish Sea to Holyhead in Wales. You will travel through northern Wales and stop at the majestic Caernafon Castle where Charles was crowned Price of Wales. Travel on through the beautiful Welsh countryside onto an overnight stay in the historic English town of Chester. Continue northbound into the stunning scenery of the English Lake District. Admire the lovely lakeland villages of Windermere, Ambleside and Grasmere. Cross into Scotland and pause at Gretna Green just over the border, where generations of young English couples eloped to escape the restrictions of English law. 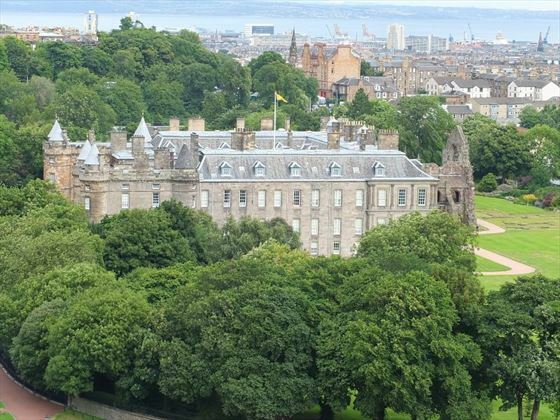 Continue to the Scottish capital Edinburgh, where you will be spending the next two nights. 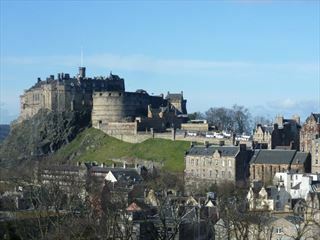 The day starts with a guided tour of the rich history of the majestic city of Edinburgh. 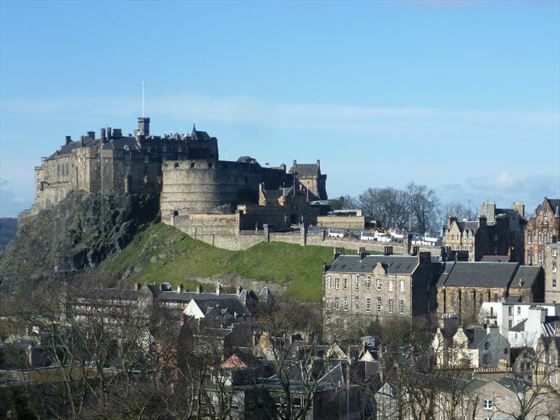 You will visit Edinburgh Castle, which dominates the skyline perched on Castle Rock at the end of the Royal Mile, and the Palace of Holyroodhouse, the Queen’s official residence in Edinburgh. You have the afternoon free to browse the shops, relax in cafes or explore more of this historic city. Leave for Coventry where you will visit the famous modern Cathedral, completely rebuilt after its destruction during the World War II. 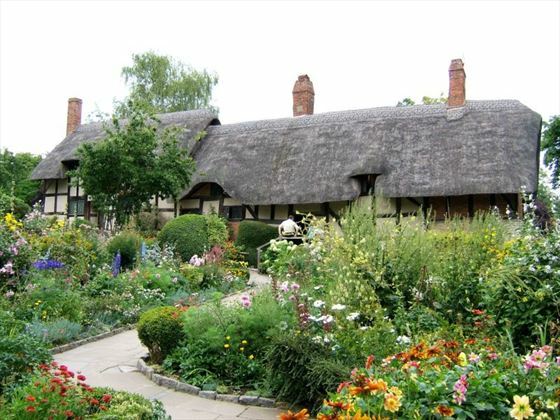 Continue onto the charming town of Straford-upon-Avon, where you will visit the birthplace of William Shakespeare and the childhood home of his wife Anne Hathaway. This evening you will enjoy a farewell dinner with your fellow travellers. 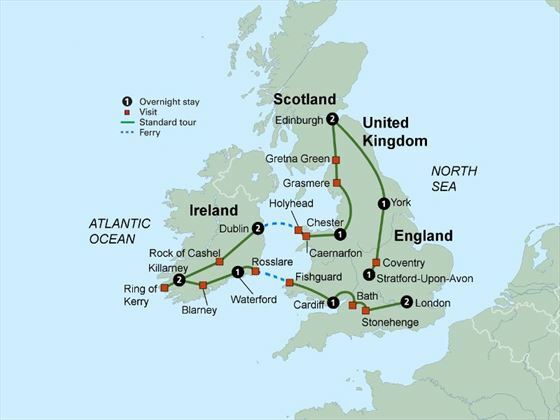 With offices in Dublin, Kerry and London, we have the experience and resources to provide you with the very best vacation, partnering only with the most reputable coach operators to ensure you have a truly great touring experience. Experience the best of Britain’s regal cities, historic towns & beautiful countryside on this escorted tour. 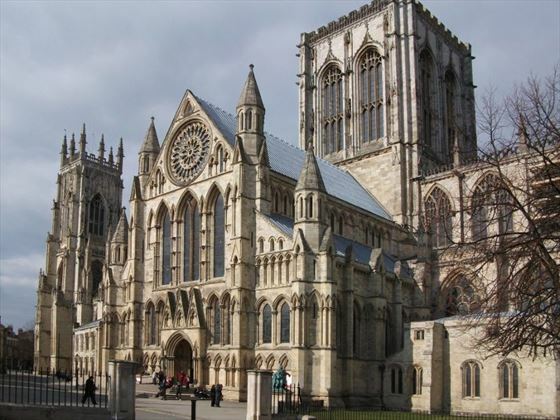 Begin in London, then visit historic Cambridge and York, continuing to Scotland and regal Edinburgh. Stay overnight in a Welsh castle, ending in historic Stratford-upon-Avon. 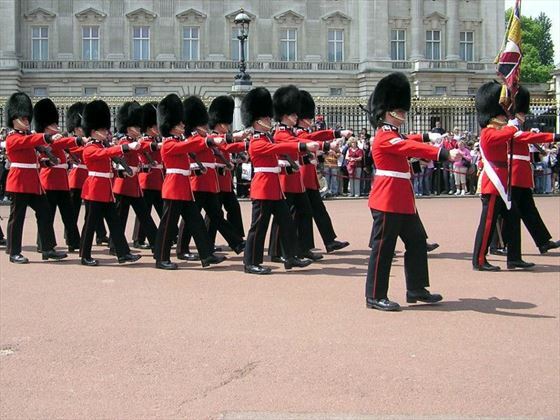 Enjoy a five night holiday in London, with guided tours of iconic sights such as Buckingham Palace, Trafalgar Square and Tower of London, with time to also explore independently. 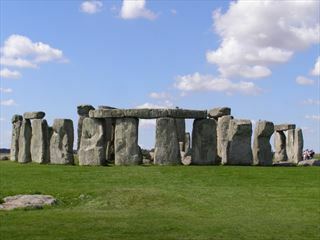 There is a day excursion to Stonehenge plus an optional tour to Windsor Castle. An escorted tour of Scotland, taking in spectacular landscapes, historic castles and the beautiful islands of Skye and the Orkneys. Explore Edinburgh and Pitlochry, the pre-historic Ring of Brodgar in the Orkey Islands. Enjoy whisky tasting and a cruise on Loch Lomond.